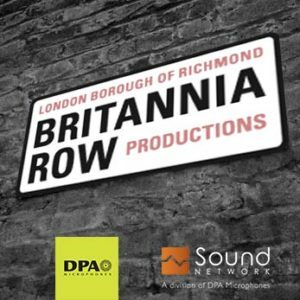 Sound Network and Britannia Row Productions are pleased to announce an evening talk and critical listening session with DPA Microphones. This session is dedicated to hearing DPA microphone solutions in action through live performance, multi-track recordings and virtual soundcheck. The focus will be on the various drum mic’ing solutions with a live drummer. Participants will then have the opportunity to set up a mix and experiment with EQ and dynamics processing, video and multi-track audio content will be available and shows various band performances and mic placement. Individual microphone channels will be available for critical listening and comparison, providing a deeper understanding of the effects of room acoustics, spill, EQ, and dynamic processing on multiple sound sources. •	Mix processing – how much do you really need? •	Practical experience using DPA microphones in a controlled live environment. Presented by Les Mommsen from Sound Network. Interested? Sign up for free on eventbright to get your space.